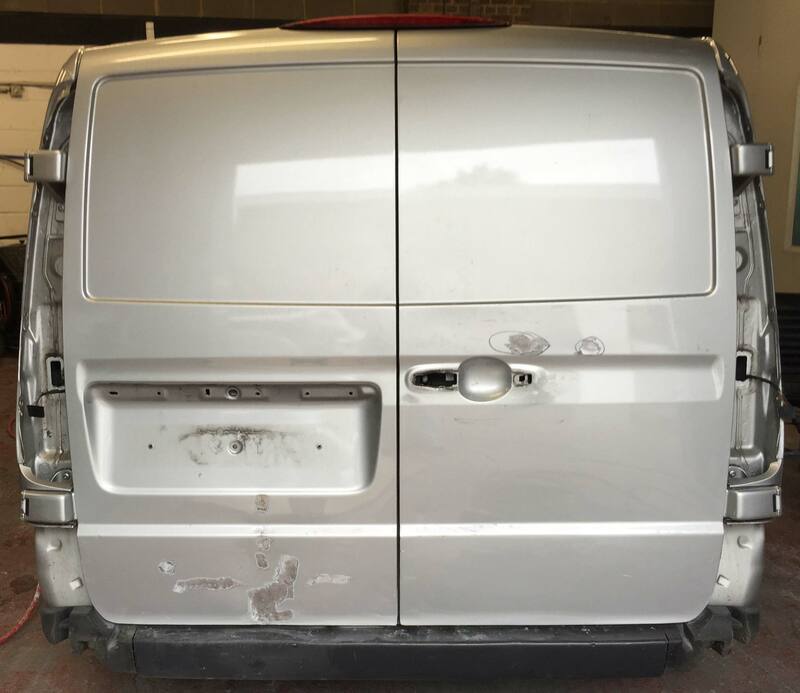 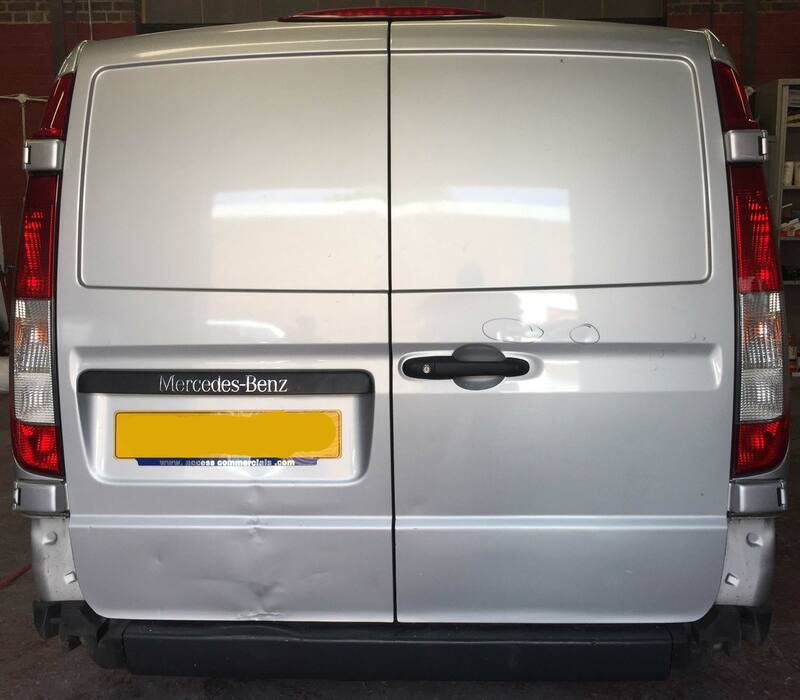 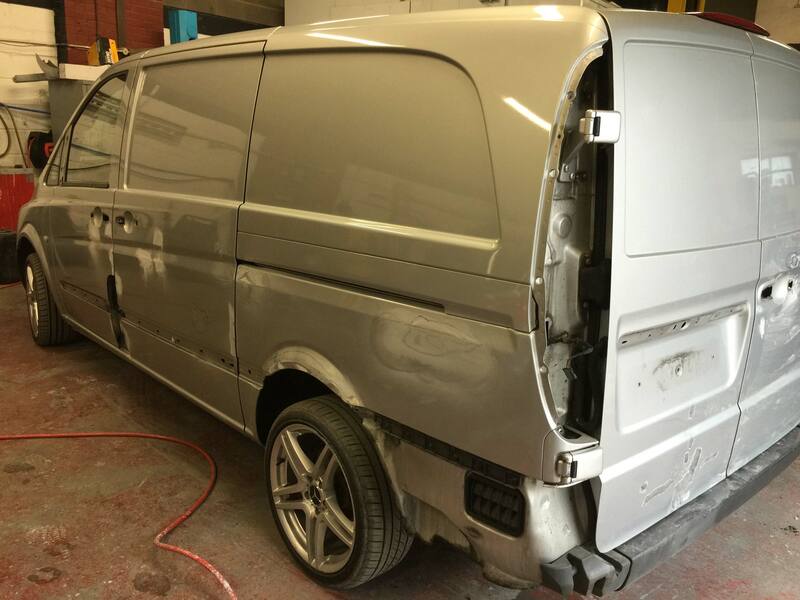 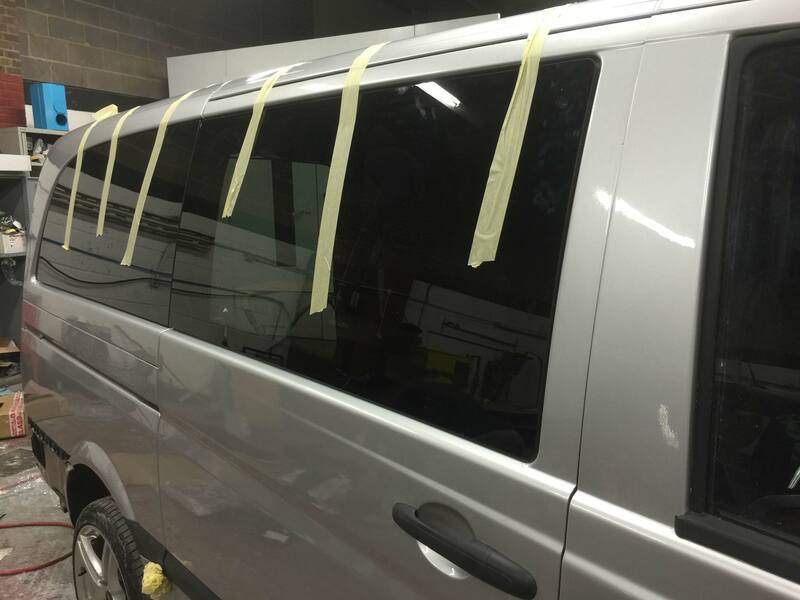 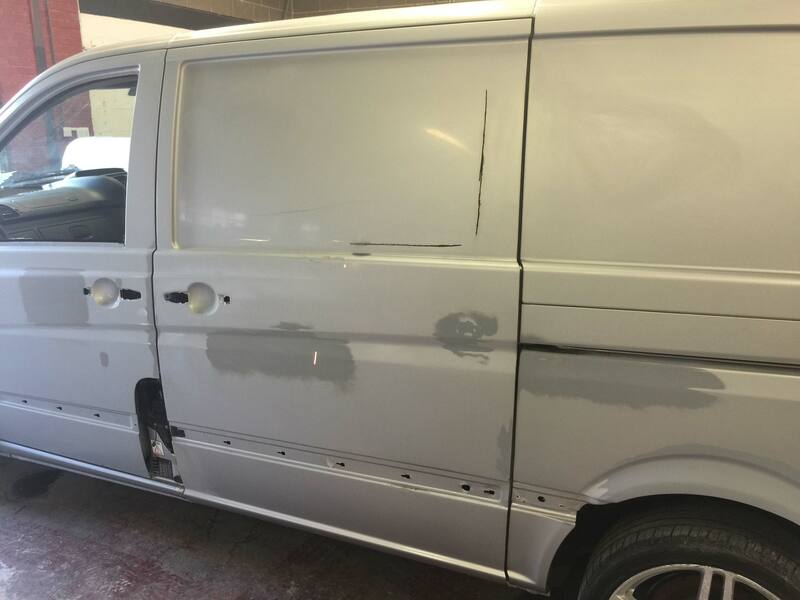 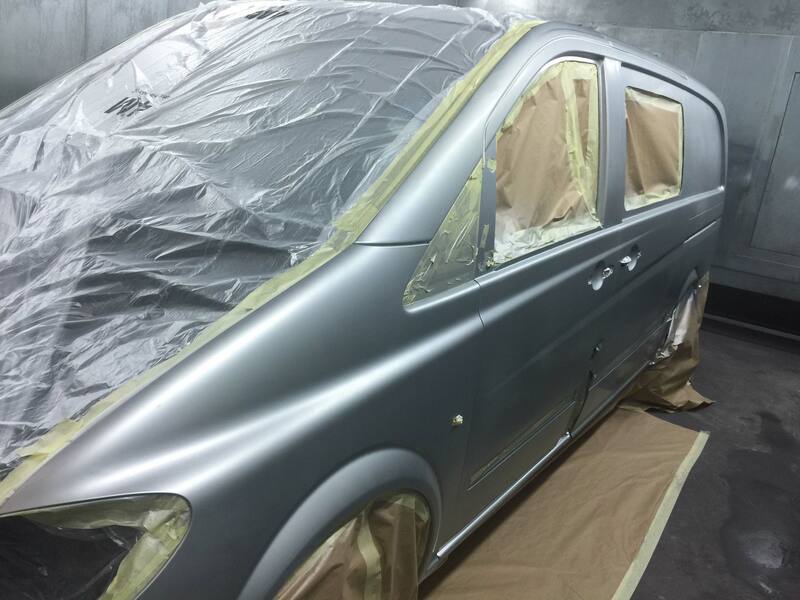 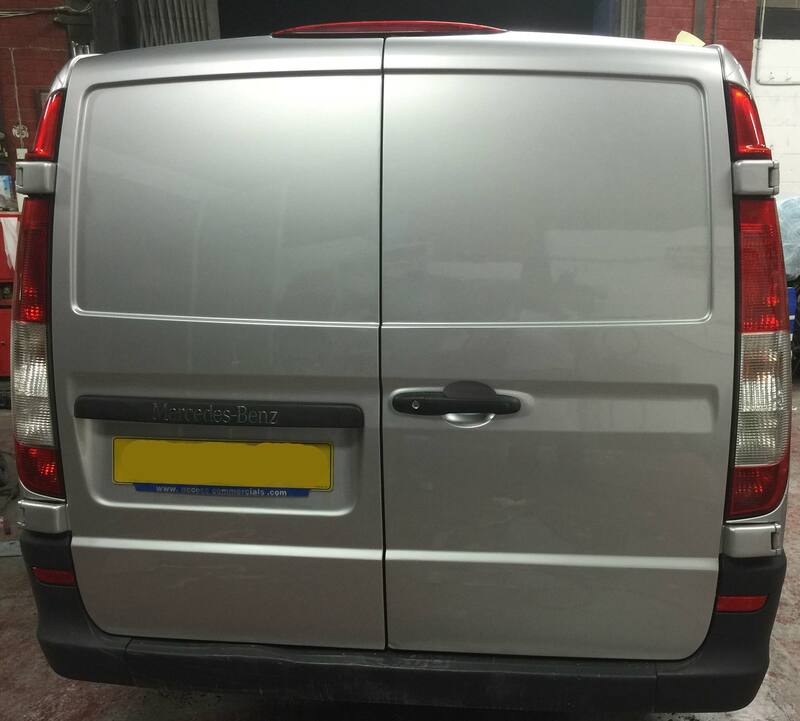 A local custom bike enthusiast came to us on a Thursday afternoon in desperation because the bodyshop he was booked in with has let him down last minute and said they were unable to confidently do all that was required. 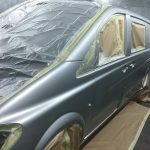 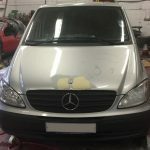 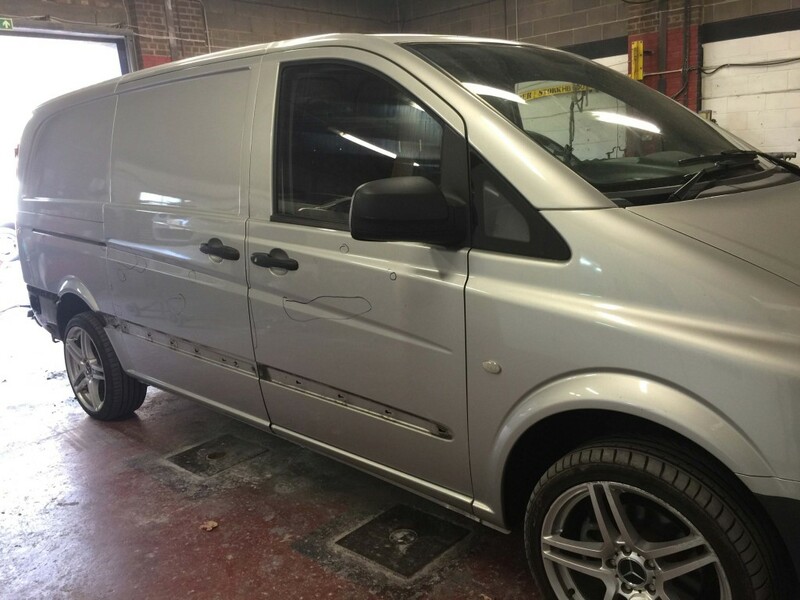 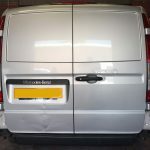 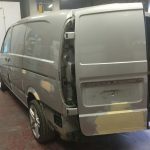 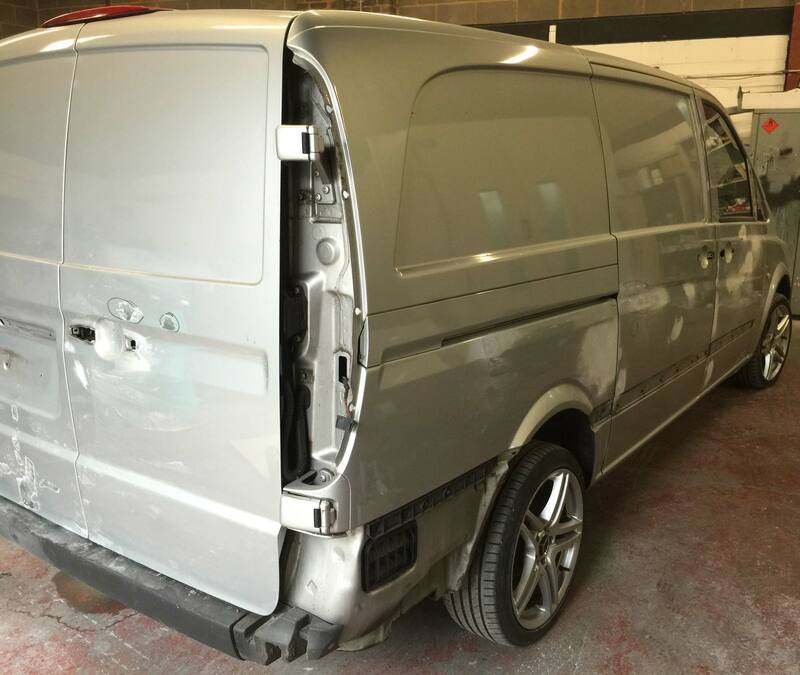 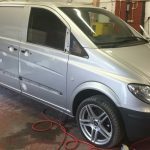 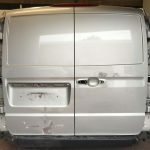 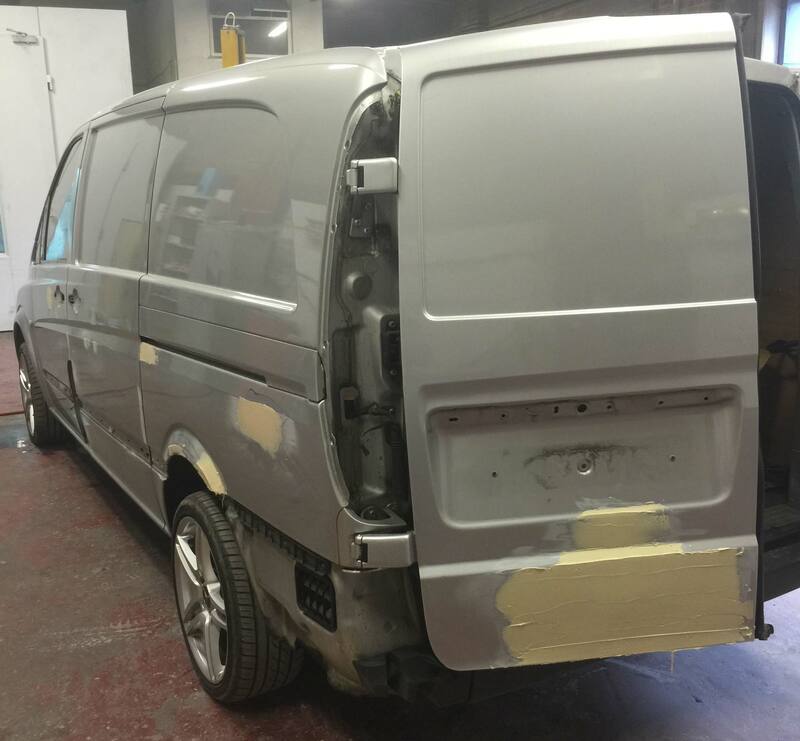 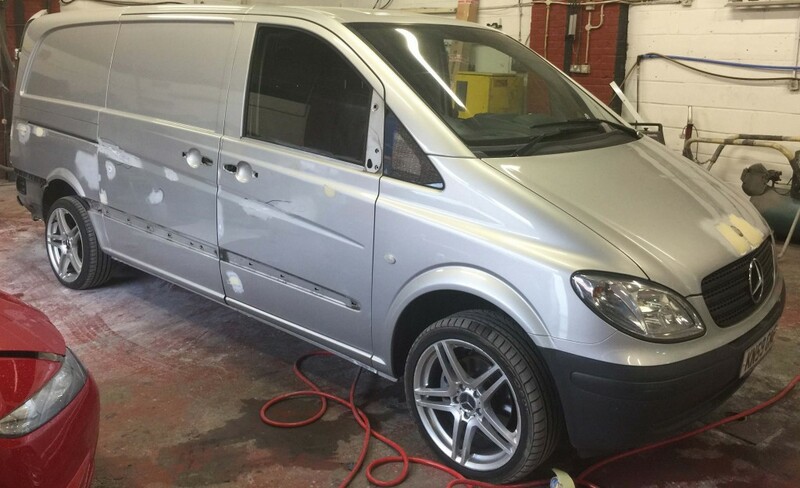 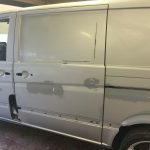 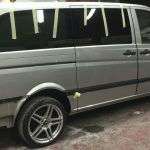 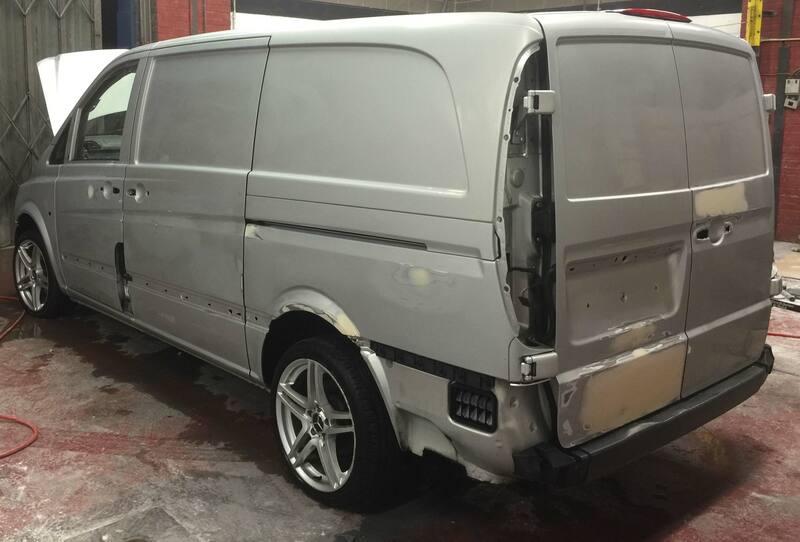 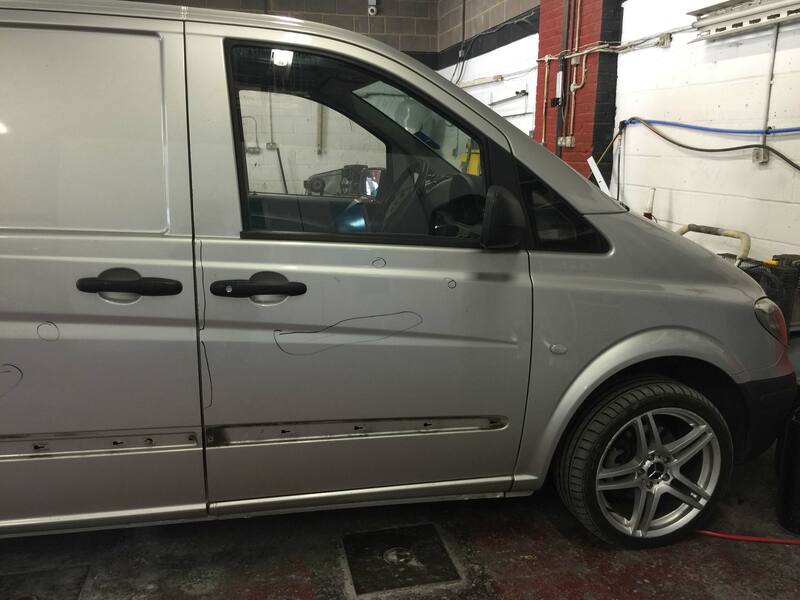 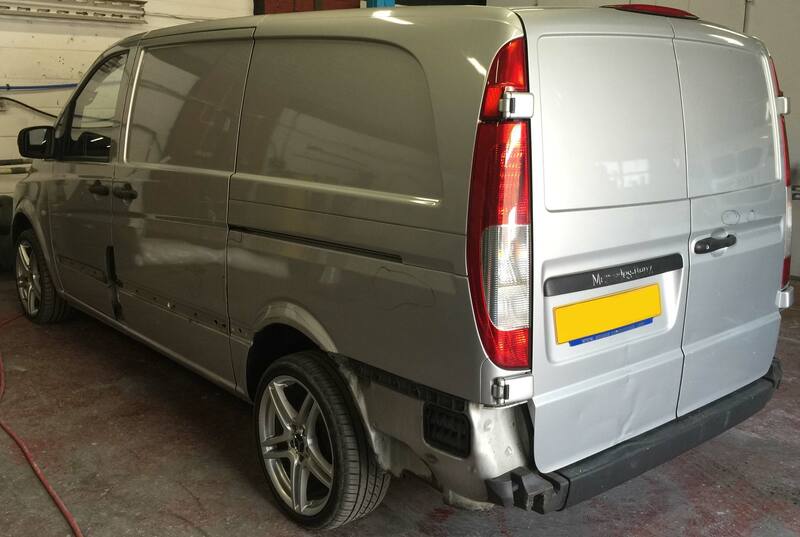 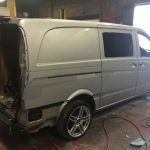 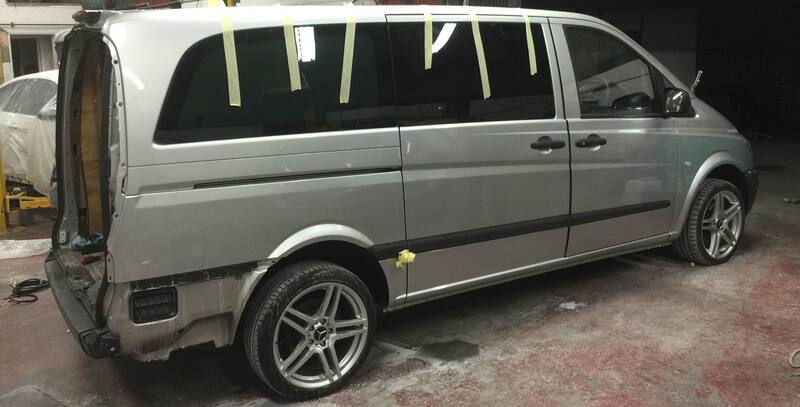 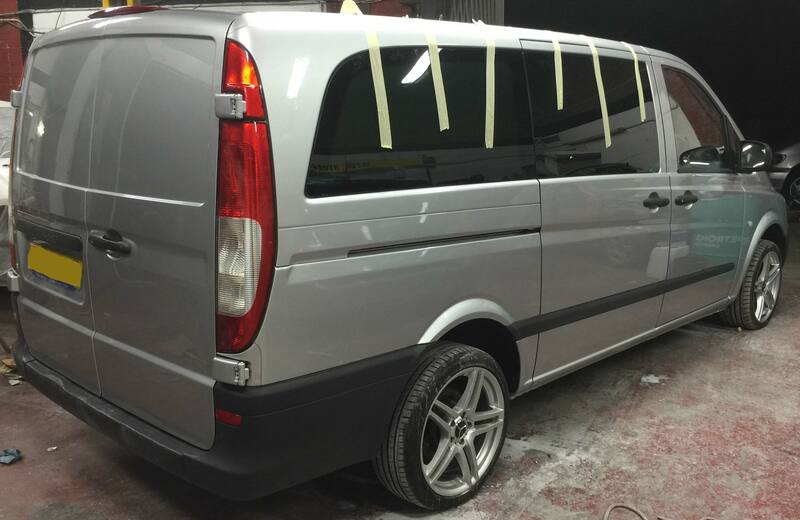 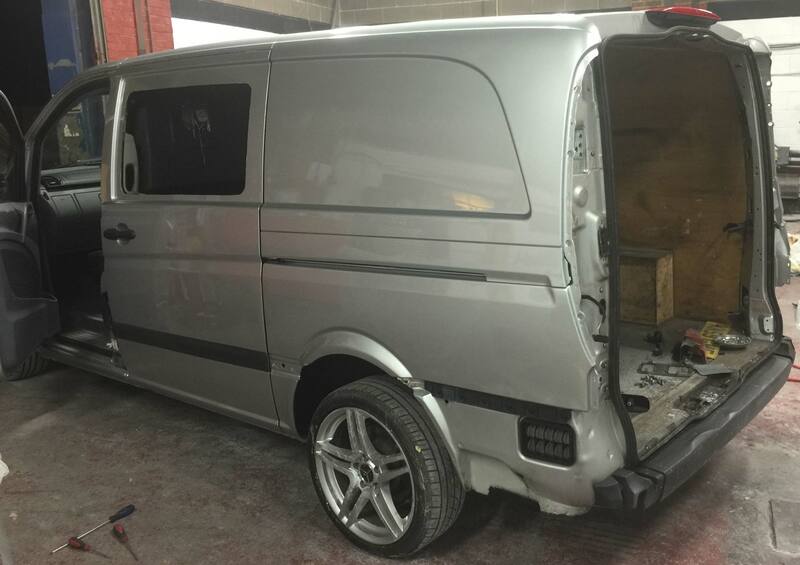 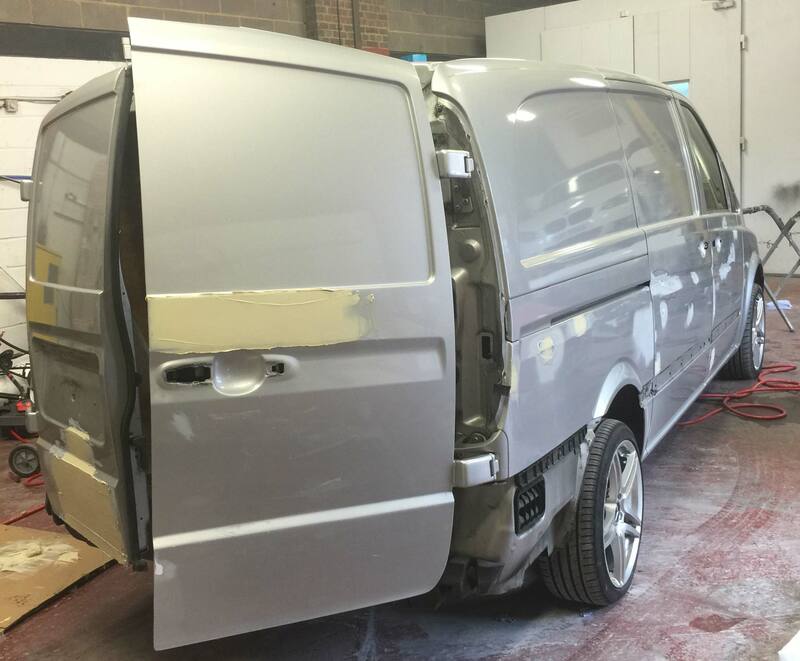 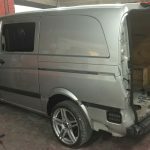 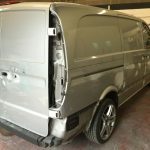 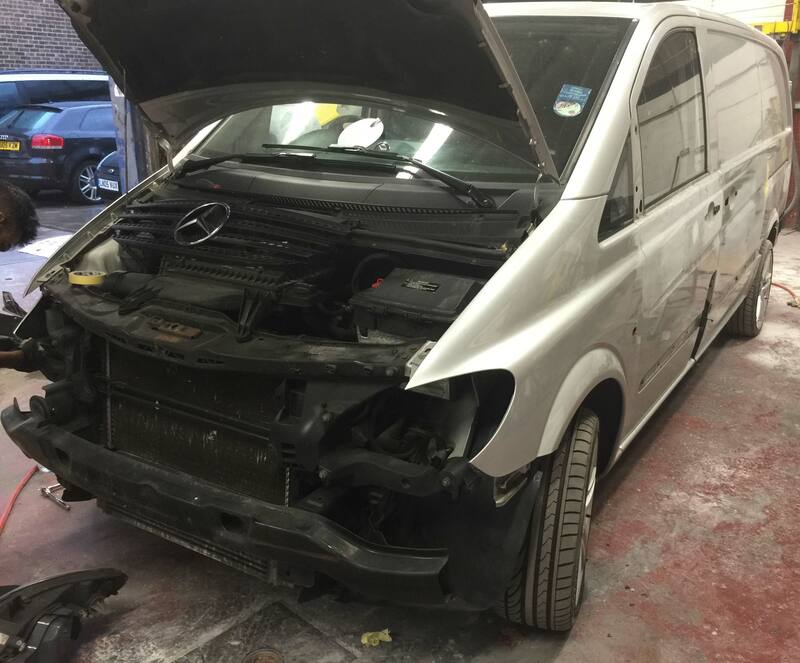 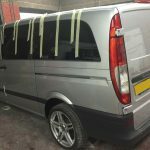 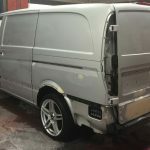 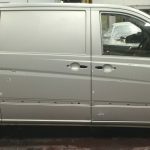 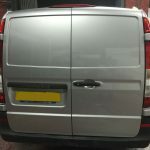 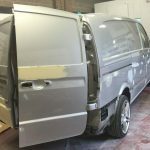 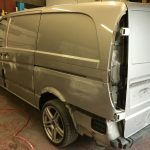 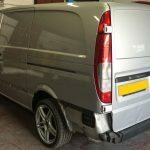 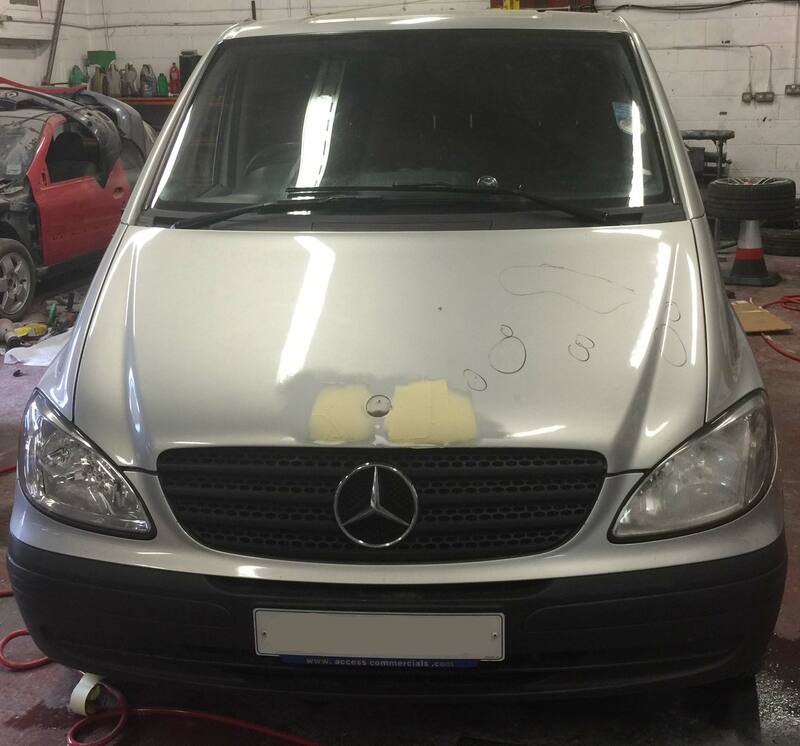 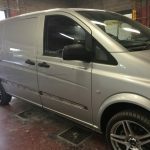 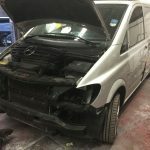 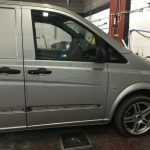 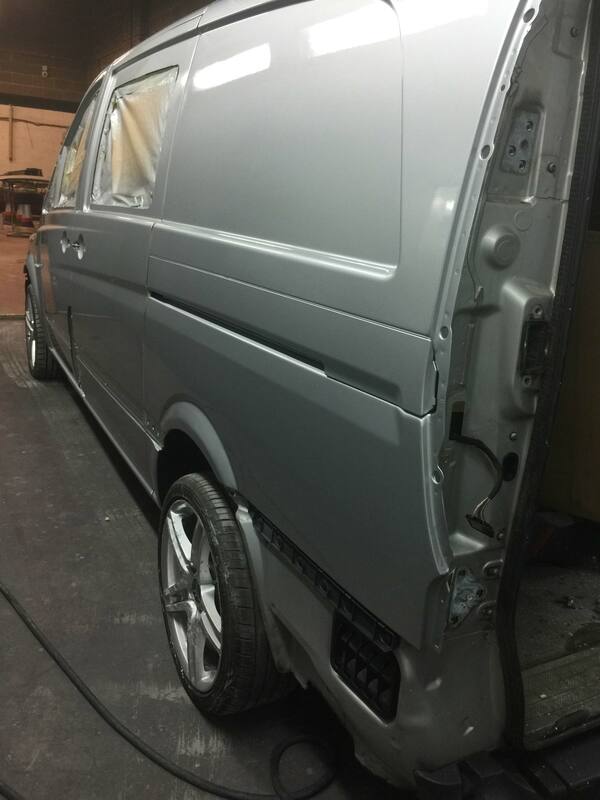 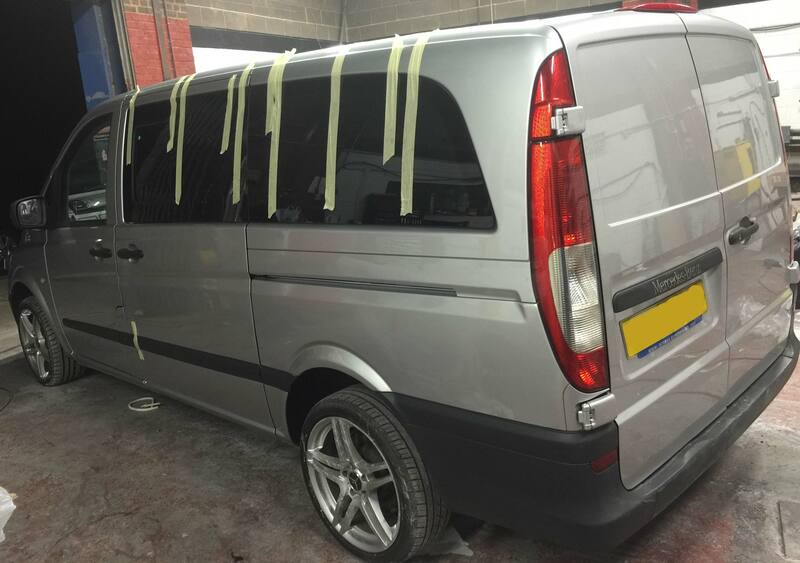 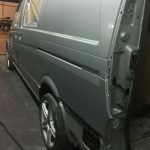 He was due to go to a custom bike show on Sunday and he bought the Mercedes Vito van specifically for that show to transport his custom bike in a bit of style.The van itself was not in bad condition, although there were dents, scrapes and paint flaking on every panel but there was no heavy damage and no rust. 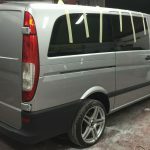 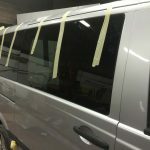 The customer was not bothered about the dents and scrapes as much but wanted a quick blow over to make the paint look fresh and at the same time he wanted the panels from the sliding door cut out to fit windows.We agreed to take the job on and promised to have the vehicle ready for late Saturday evening so he could take it to his show for Sunday but being London’s leading accident repair centre we weren’t about to let the van out to a motor show with a fresh paint job and all the old dents still visible. 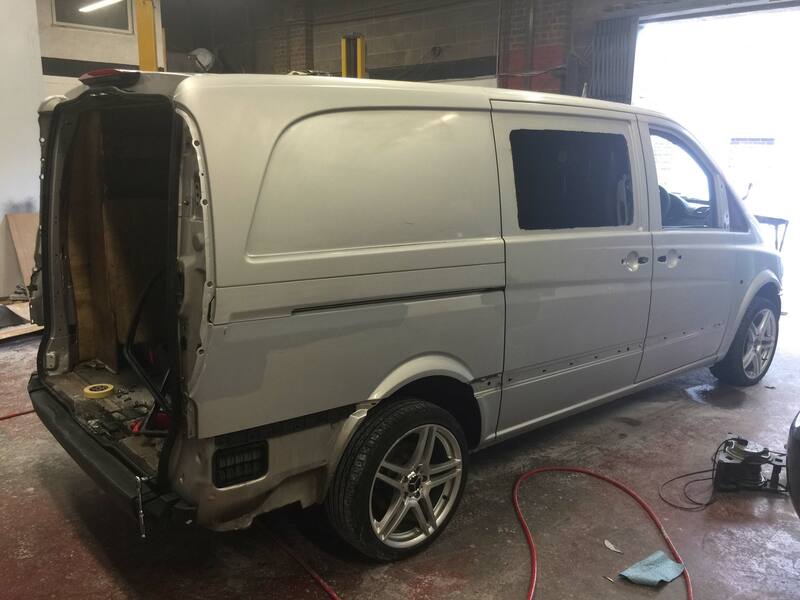 We worked day and night to complete the project but the end result was a complete transformation and the customer was blown away to see his new paint job with every panel fully repaired!